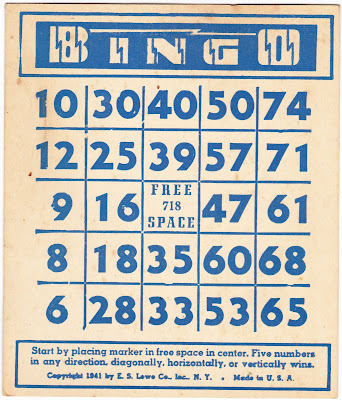 This Bingo card is dated 1941 and was produced by the E.S. Lowe Company in New York. Edwin S. Lowe (1911-1986) was the founder of that company, and Beano, Bingo and a Catholic church in Wilkes-Barre, Pennsylvania, played big parts in the success of his venture, which later brought the game Yahtzee to the masses. 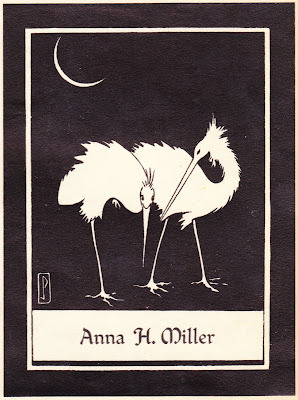 For all of that history, check out Duncan Pohl's terrific article titled "The E.S. Lowe Toy Company, Timing, and Chess." 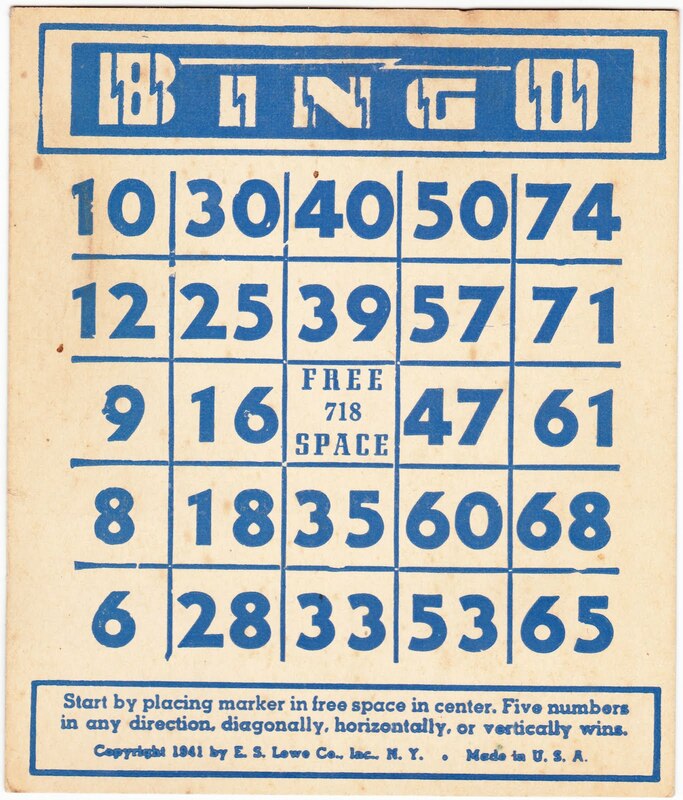 And if you're interested in more Bingo ephemera, check out this Ephemeraology blog post by Mel Kolstad. Anna H. Miller's black-and-white bookplate features a pair of storks -- those are storks, right? -- and a crescent moon. 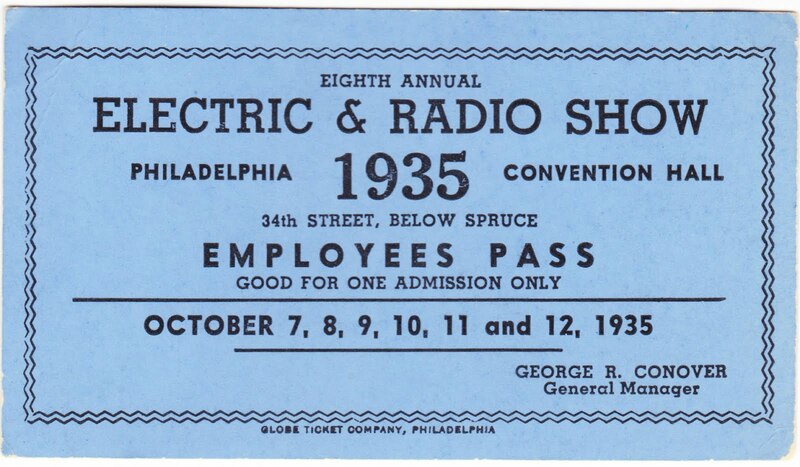 This was my great-grandfather's Employees Pass to the eighth annual Electric & Radio Show, held from Oct. 7-12, 1935, at the Philadelphia Convention Hall. It was printed by Globe Ticket Company of Philadelphia. The Convention Hall, part of the Philadelphia Convention Hall and Civic Center, was built in 1931 and torn down in 2005, after more than a decade without a regular tenant. 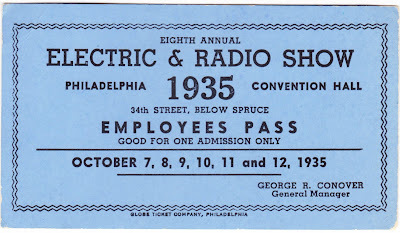 In an interesting twist of fate, the Globe Ticket Company Building, which is where this ticket was printed, is now the location of the Pennsylvania Convention Center, which opened in 1993.